Sometimes I find my Life so boring - I literally have to drag myself to work. But there are days when I feel like a superman! What I have realized is - "What you do is not as important as how you do it!" The catch to a happy day is to smile and do common things uncommonly well! The real reward comes from the sense of personal satisfaction that you get from knowing that you have done a great job. Another thing that adds colour to my Life is my - this lil corner! 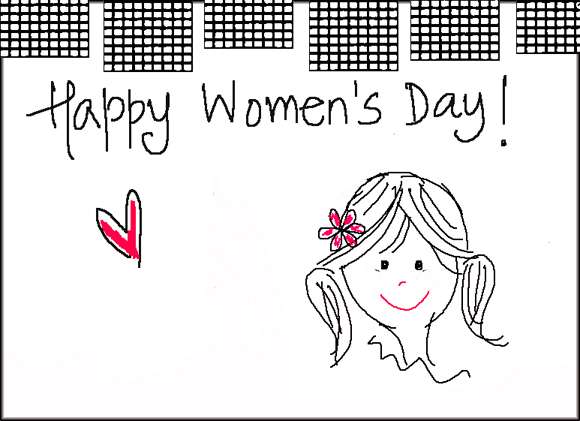 Here is a simple card I made for my cousin - he is another reason of smile and laughter in my Life! Introducing my very first creation using my bamboo pen. Know that if you have made people smile and laugh - you have done a good job! Lovely card,have a little something for you over at my Blog. Very nice card, love what you wrote,very nice words! You have a great motto. I have to remember it. BTW, lovely card. 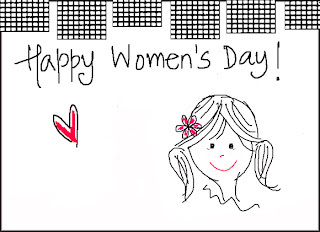 And, happy Women's Day to you, too! very pretty & elegant card .my super man istoo good to inspire others.i am very happy .